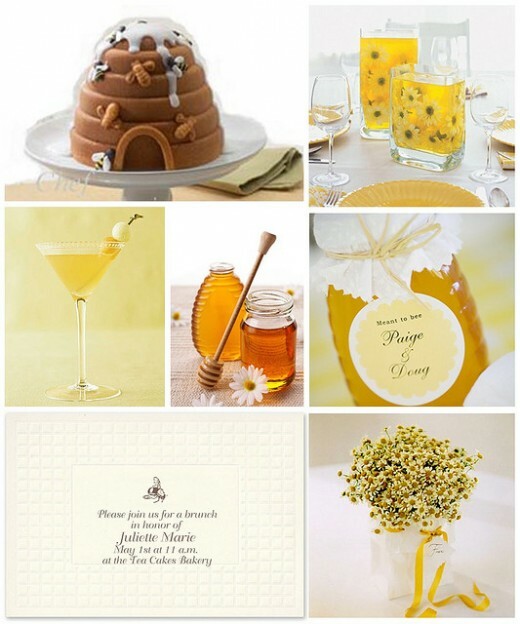 A bridal shower is a gift-giving party held for a bride-to-be in anticipation of her wedding. The custom originated in the 1890s and is today most common in the United States, Canada, and by North American influence, in Australia. 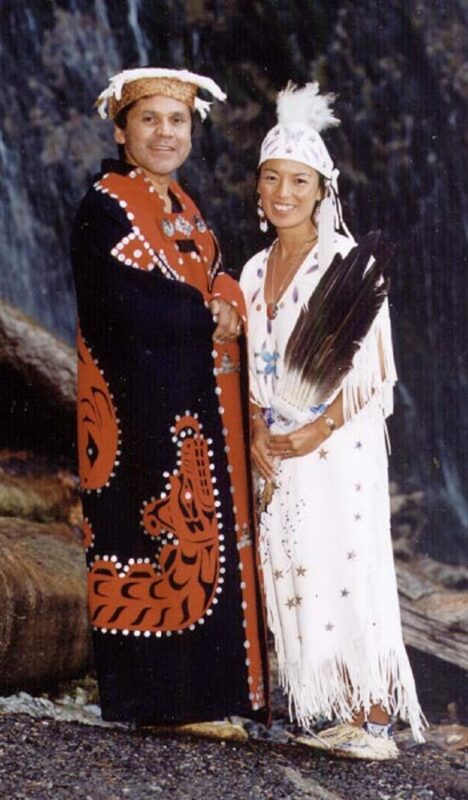 The history of the custom is rooted in the provision of goods for the couple’s upcoming home, but also to provide goods and financial assistance to ensure the wedding may take place. 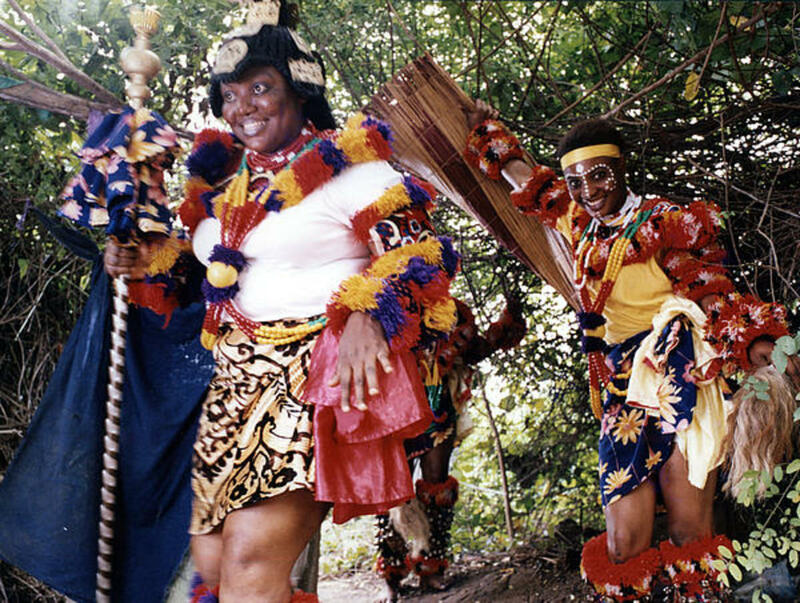 The custom of the bridal shower is said to have grown out of earlier dowry practices. In the past, there were dowries to consider, along with a certain amount of money needed just to “christen” the marriage. When a poor woman's family might not have the money to provide a dowry for her, or when a father refused to give his daughter her dowry because he did not approve of the marriage. If the families could not provide, the wedding did not take place. In such situations, friends of the woman would gather together and bring gifts that would compensate for the dowry and allow her to marry the man of her choice. Traditionally, hosting the bridal shower falls to the Maid of Honor, or one of the bridesmaids. Many times one or more of the mothers will also host a bridal shower for the bride. Guests are chosen from among the bride's personal friends, family, and other well-wishers. However, those hosting will likely choose from a particular group of friends to attend the party; co-workers for a work shower, mom’s book club friends for her shower, and even school friends for a school shower. A bride may end up with a variety of bridal showers thrown for them amongst each different group in which they participate. The number of guests and their relationship to the bride varies widely. In Canada, among some immigrant communities parties in community halls with upwards of 300 guests were normal, while other cultures emphasized intimate parties with only close friends and relatives. In general, people who are invited to a bridal shower are also usually invited to the wedding ceremony. But times are quickly changing. 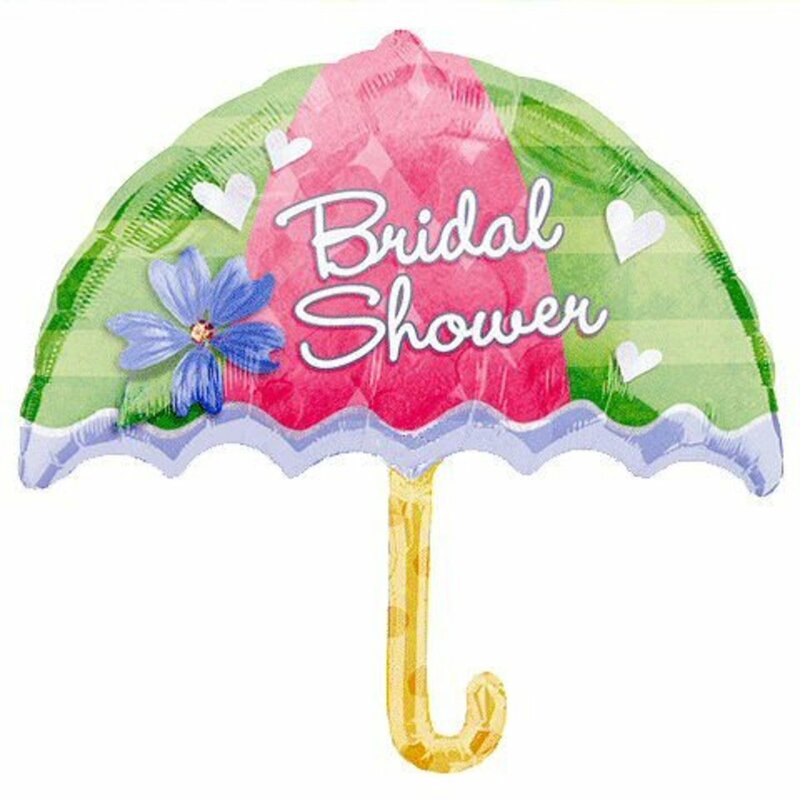 At these showers, women gather together for snacks and cake, as well as to visit with each other and “shower” the bride with gifts to celebrate her wedding. Sometimes snacks include party trays of meats, cheeses, fruits and veggies, and sometimes a potluck setup is chosen where everyone brings a chosen dish from home to share with everyone at the party. At many of these parties, the area is decorated in the bride’s wedding colors or in a specific theme and games are played with a wedding theme. Girls love weddings, so it’s easy to see how a fun party can be quickly pulled together for the bride. However, many of these parties start becoming monotonous and boring due to all of the women that tend to get married at the same time and the fact that the majority of these are done the exact same way every time. What I want to do is to help you spice things up a bit and really personalize, not just your wedding, but all of the parties happening on the way there. Why not? You only get to do this once, right? Let’s talk about theme showers. Are your the bride, a bridesmaid, a family member, or a friend? I'm the Maid/Matron of Honor. I'm in the Bridal Party. I'm one of the bride's friends. The Stock-The-Pantry shower is a great opportunity for friends and family to get together and help the bride-to-be equip her new kitchen with necessities and splurges. The premise behind the shower is exactly what you think. Guests will gift the bride with kitchen and pantry staples, like flour, sugar, salt, pepper, rice, Bisquick, . . . just about any dry, packaged or canned item is fair game. The key is you will be asking the guests to present these in a unique or creative fashion. Include a blank recipe card in each invitation, and instruct invitees to write their favorite recipe and the bride’s gift will be associated with the pantry ingredient they have given as a gift, with what is needed to make the recipe. Remind guests to wrap creatively. By the end of the shower, your bride should have loads of pantry staples and recipes for her new kitchen, without ever having to set foot in a grocery store. The idea with the Room of the House shower is that each guest is assigned a room of the house and brings a gift to be used in that room. Gifts could be towels for the bathroom, oven mitts or a stove topper for the kitchen, throw pillows for the living room, or a nice picture for the bedroom. What’s really great is that guests get to use their imagination. 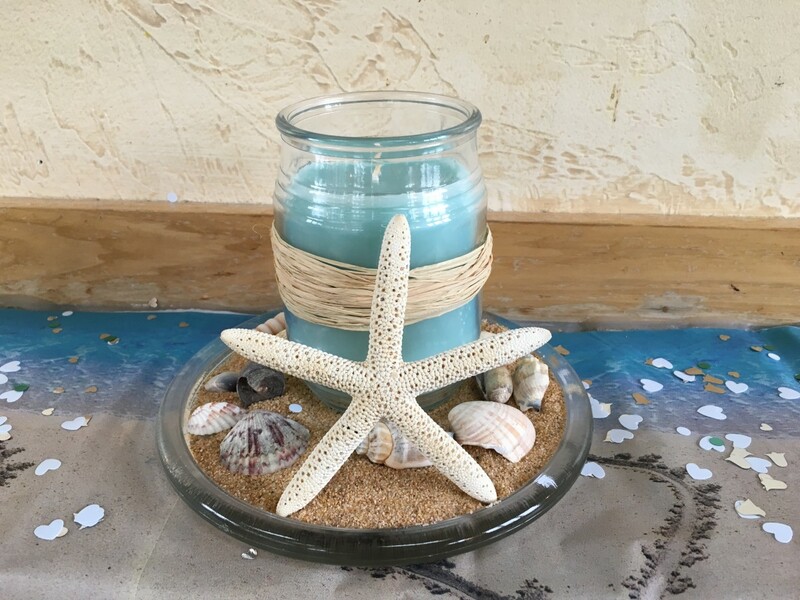 Use your imagination to create a 'homey' feel for your Room of the House party. Assemble guests by a crackling fireplace or bathe in candlelight while indulging in a selection of the bride's favorite comfort foods. Packing for a getaway and plans for the future might become an after-thought for a bride when wedding planning is in full swing, so any way that you might help pamper her and have fun with her best girl friends and family members is highly recommended. Set the mood with candles, chocolates and plenty of red floor pillows for guests to lounge on. Ask each guest to bring a gift of lingerie for the bride and give a scented sachet for each to tuck into her own lingerie drawer. A lingerie-themed bridal shower is an enjoyable way to celebrate the marriage of two people. With a little planning, the bridal shower's decorations can set the tone for romance and entertainment. 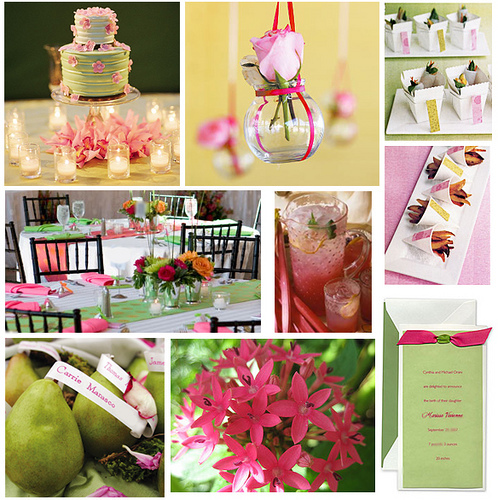 The decorations also can help to make the bridal shower a classic event the bride and her guests will never forget. Bring in the bride’s love of the outdoors with a Garden shower. 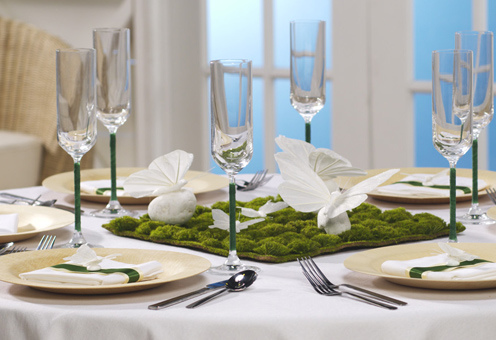 To truly delight the senses, decorate tables with fresh flowers or potted mint plants. For breathtaking beauty, hold the shower outdoors in daylight or by candlelight in the evening. Ask guests to bring gifts that the bride can in use in her garden. Gifts such as seeds, pots, gloves, a garden-kneeler, sheers, and even fertilizer would really bring the theme together. As the final touch of earthy elegance, give guests beautiful flower boxes filled with seeds to plant in their own gardens or pick another garden favor to complement your garden party. Like the foodie bride, every gardener bride has a long wish list of gardening accoutrements: heirloom tomato plants, rare flower bulbs and hard-to-find seeds. That's not to mention all the hardware. Gifts aside and weather permitting, a garden party can be modified either to have an air of refinement (think white gloves and sipping lemonade in the shade), or a down and dirty approach where friends lend their elbow grease to pull weeds, dig furrows and help the bride get that much closer to her dream garden in her new nesting place. If your bride is a voracious reader and lover of all things literary, throw her a library bridal shower. A book shower is the perfect way to celebrate her upcoming wedding while tapping into one of her favorite interests. 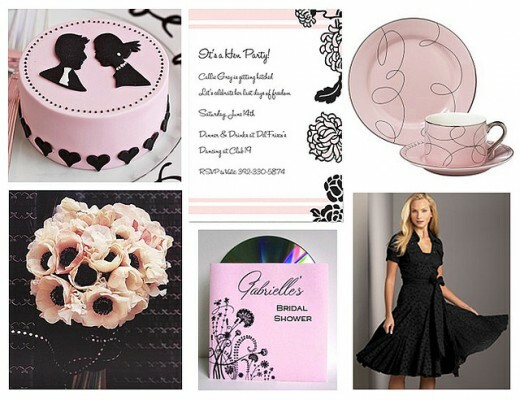 It is also a unique bridal shower theme that will create a one-of-a-kind occasion. Ask guest to bring a beautifully bound book, engraved bookplates, or even a gift certificate to a bookstore for the bride. To more fully incorporate the literary theme, stack books throughout the party and on each of the tables. You could take some of the pages out of a book and create wall decorations made of pinwheels and other garlands so that the vibe resonates from floor to ceiling. 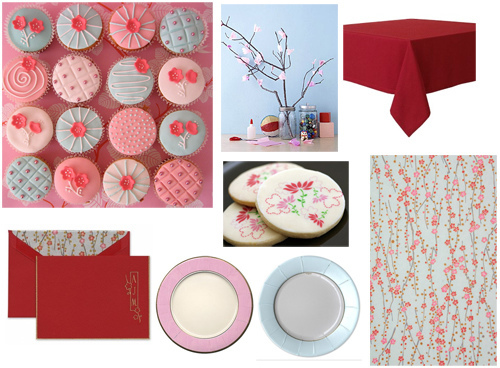 To finish off the look, you could serve tea to your guests from antique tea sets, and serve dainty sandwiches. Life is all about the memories. So why not give the bride and your shower guests memories to last a lifetime? Ask each guest to bring a gift or memento representing a favorite moment shared with the bride. Or, for a trendy twist, ask each guest to create a scrapbook page at the shower that depicts that person’s favorite memory with the bride. 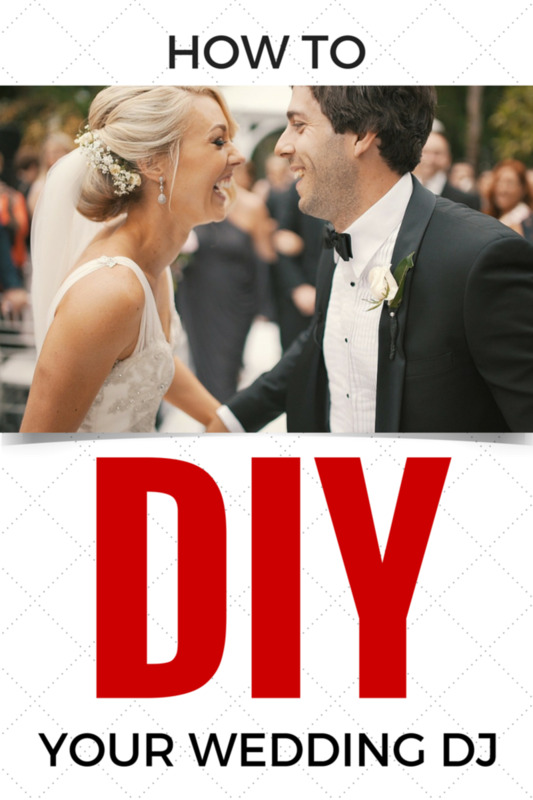 Assemble each page in a scrapbook for the bride and present it at the end of the shower. Since guests will be in the mood for memory-making, you could provide disposable cameras and give glass photo coasters or personalized photo albums as favors. Do beautiful brides and single malt scotch go together? Time to find out. Wedding showers were originally invented to help a bride begin to build a home, and one of the best ways to make a hospitable home is to have a drop of the good stuff stowed away in case unexpected guests drop in. This makes a stock-the-bar shower a perfect theme for the sociable hostess bride. Besides being a surefire segue into a bachelorette party (if that's what you have in mind), having a stock-the-bar theme for gifts has the added benefit of taking the pressure off the guests to find good presents. Top-shelf liquors are standard for a couple's first bar, as well as exotic mixers, the mysterious liqueurs and the deliciously oddball small-batch spirits. This is a great theme for a couple's wedding shower. Ask guests to bring their favorite alcoholic beverages or mixers to help the bride and groom stock their bar. Then, give each guest his or her own mini cocktail shaker and invite everyone to shake up a signature drink for all to taste. For a no-fuss and no-mess event, hold your shower at the couple's favorite bar. Keep guests' memories of the evening intact with a personalized shot glass or personalized martini glass for each. Include a personalized cocktail mix for a delightfully decadent favor. For a really unique bride, you might need a really unique idea. How about choosing one of her hobbies to focus the theme of the party on? Here are a couple examples. For avid golfers, a shower centered on the theme of golf can add a little light-hearted fun to the party. For table numbers, use flagpoles like the ones found on a course to designate the number hole. Each table could have its own "hazard." A centerpiece of large, shallow vases filled with water and some floating blossoms can be a water hazard. And a sand trap can be created with a few oblong-shaped trays filled with sand. Provide your party guests with a scorecard and a golf scoring pencil, and invite them to share their advice for the bride and groom. For golf themed favors, give something everyone can use, like a golfer’s key chain, a golf ball stopper or a personalized golf themed mint tin. Whether the bride is a gifted musician with music flowing in her veins, or just a great appreciator of good music, pay tribute to her hobby by having a music-themed shower. Name tables for famous musicians, and set note cards with facts and interesting tidbits about the artist and his work at each place setting. For favors, a personalized CD of the bride’s favorite music makes a great memento. 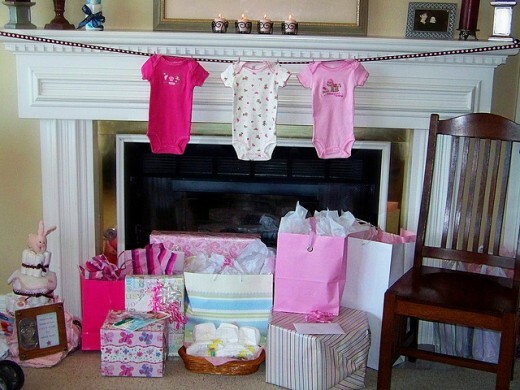 If you're planning a bridal and baby shower all-in-one, don't forget to stock up on baby shower accessories. Diaper cakes are a practical, yet beautiful gift for new parents and baby ...made to look just like a cake. They are packed with all kinds of useful baby items such as diapers (a key ingredient), bibs, bottles, pacifiers, shoes and socks. These clever little beauties are exactly what a new parent needs to get them started. Total "wow" factor. Seeing that this is a bridal shower, consider mom first. Consider asking guests to bring baskets of goodies, bottles of champagne, massages... Baby still comes first, but grownup indulgences are always appreciated, especially at a time when the mom may be feeling pretty uncomfortable (a.k.a. all of late pregnancy). To pamper both mom and baby, consider a shareable treat that can be used for both. Decorations can be a major element for a more unusual shower. You can use disposable diapers as napkins, tied with ribbon, of course; fill baby shoes with candy at each table (don't worry the baby will grow into them); and create personalized labels for baby food with the mom's picture (put one at each place setting). You can also include a baby blanket tablecloth, hanging mobile centerpiece, and small baby bottle flower arrangements for some added baby fun. Wedding planning is rightly regarded as one of the most stressful activities known to humankind. That goes for the bride as well as her entourage. Bridesmaids, mothers, the groom, everyone suffers a little in order to make a wedding happen. Holding a bridal shower at a day spa can diffuse some of that tension and make the frazzled wedding party feel human again. While nobody does pampering like the pros, a spa-themed bridal shower doesn't necessarily mean tithing the poor bridesmaids for mani-pedis. There are plenty of recipes for facials, aromatherapy elixirs and beauty treatments that can be done at home. You can keep the session cozy by hiring a masseuse or manicurist to work their magic on guests during a party at the hostess's home or simply allow all of the girls to do massages, manicures, pedicures, and even pampering to each other. You can put pillows on the floor, play nice soft soothing music in the background, provide neck wraps, hot washcloths and wax dips for everyone, etc. Rock Around the Clock at this uniquely themed bridal shower. Ask each guest to bring a gift related to a certain time of day; the more times you assign, the wider the variety of gifts for the lucky bride. Gift ideas for all times of the day could include a griddle and spatula or waffle maker, throw pillows and throw blankets, a George Foreman, grill supplies, sports equipment, a visor and sunscreen, a good book, weights, a popcorn maker and a bag of popcorn, a good movie, a lavender neck wrap, etc. There are so many ideas that this should be a fun one. Make sure each guest labels their gift with the right time of day and a cute note explaining their reasoning. The bride can open her gifts in chronological order. Get the party started with an imaginative selection of “hours” d'oeuvres. Make mini bite-sized portions of foods popular at different times of day and serve on platters with frilly toothpicks. Popular favorites include tiny stacks of 'silver dollar' pancakes, mini pizzas and cupcakes decorated to look like clocks. 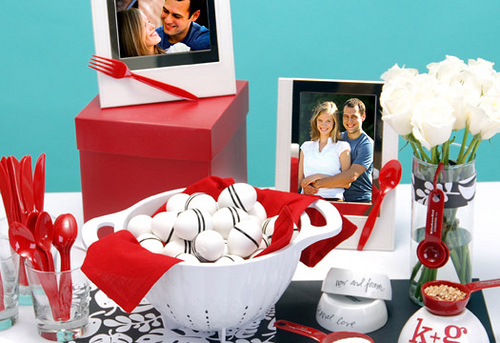 Bridal showers are celebrations meant to shower the bride with fun gifts that she can enjoy after her wedding. A wedding is already such a big event in a woman’s life, that the bridal shower should be a time to rest and have fun amidst all of the wedding planning. By throwing your bride to be an awesome party with a theme that really speaks to her, you’ll give a special treat like no other, and she’ll remember your friendship forever! Very helpful! I learned more in this article than anywhere else on the internet. It was helpful. 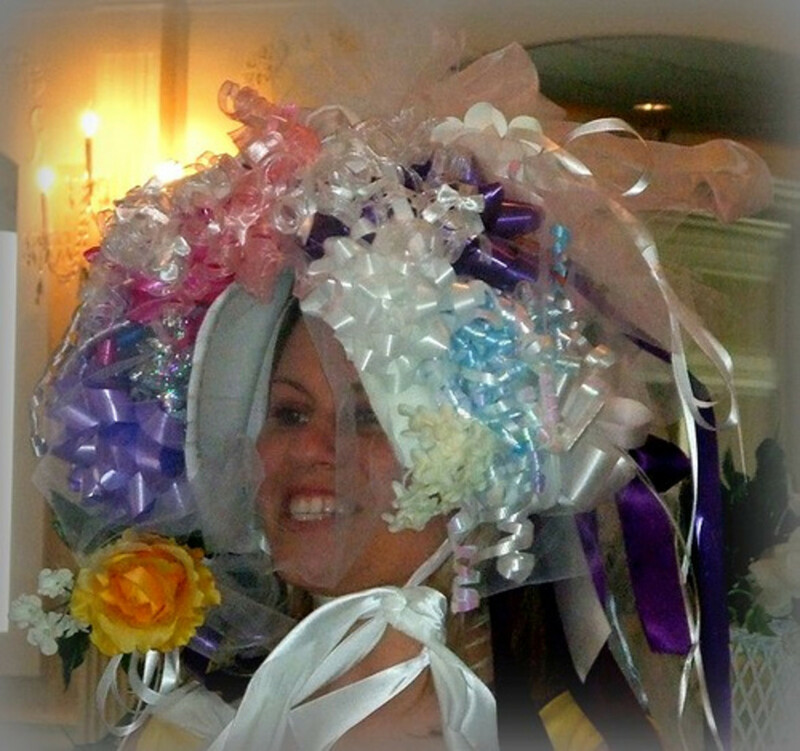 I heard about a few new bridal shower ideas. Not very helpful. I didn't see anything new. Thank you! I have so many more, but they would have made the Hub too long. I'll be soon publishing a book called "Wedding Themes, Parties, Favors, and Much More Wedding Fun!" that will include tons more great ideas in all of these areas. You should check it out! There is lots of wonderful theme ideas in this hub! Nice job putting them all together, this is a very useful article!